Yoga Nine is a professional mind-body studio which aims to promote community health by providing a variety of classes taught by the most highly trained and experienced teachers. Yoga Nine is dedicated to providing community outreach through educational programs, volunteer efforts in our “fair trade store & cafe”, Buddha Body. Yoga Nine engages in a number of community service and fundraising projects all aimed at supporting local charities. 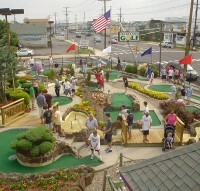 Hartland Golf and Arcade is a big part of family tradition on LBI Located in Ship Bottom, Hartland Golf and Arcade is worth the drive from anywhere! The experience of Hartland Golf and Arcade all starts with the uniquely innovative design and intricately sloped greens. Beautifully landscaped and sincerely maintained, Hartland offers a playfully challenging course that demands a healthy portion of skill and a dash of luck, with each of its 18 holes offering a fair chance at a Hole In One. Kids marvel at the Atomic Ball Launcher while even the most experienced putters are humbled by the infamous little 11th hole, which has been named “Inch per Inch- The Hardest Mini-Golf Hole On The Planet”. After 18 fun holes, take your shot a the BONUS “Last Hole” for your chance to spin the “Lucky Wheel” and win a prize! Weekly Tournaments at Hartland Golf and Arcade are every Wednesday at 9:00 a.m. Trophies are awarded for the best scores, then every player has a chance in the Door-Prize Drawings (over $200 in great prizes each week)! The Ocean County Library is more than just books. Our collection also includes E-books, music, movies, digital and print magazines, and audio books available on CD, Playaway, and digitally. Check out our website at http://www.theoceancountylibrary.org for more than 100 electronic databases that give our cardholders access to resources for homework, research, legal forms, automobile repair, videos, online classes and tutorials, and more. We have educational and entertaining programs for children, teens and adults at all of our branches, and we showcase local art exhibits. And it’s all free with an Ocean County Library card. A Long Beach Island institution for decades! That’s right…you won’t find a better stocked, full service marina on Long Beach Island. Along with great service and support, you’re in good hands at Morrison’s. We carry a huge inventory of boating supply items to meet all your needs and now stock a wide array of genuine Kohler and Onan filters. Time the tide with nautical designed Tide Clocks in wood and brass. Need something special? We can custom order it for you. Ask us, we’ll help you find what you need. Mail order and Gift Certificates are always available. who have a family income below 250% of the federal poverty level. Coastal VIM is operated completely by volunteer physicians, nurse practitioners, nurses, and administrative assistants. 100% of our operations are supported by financial donations and in-kind contributions. This is the “Original” Ron Jon Surf Shop which opened in Long Beach Island, New Jersey in 1961. At 8,100 square feet, this beachside icon is a must-see if you are visiting the Jersey Shore. This store also offers all your beach rental needs. Surfboards, beach bikes, paddleboards, beach chairs and more. 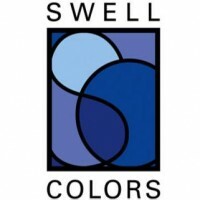 SwellColors Glass Studio designs and fabricates custom stained glass, mosaics, backsplashes, and fused glass artwork on the premises for residential and commercial locations. They also feature daily classes on a walk-in basis for children and adults. Mary Tantillo, owner of SwellColors, invites you to join her to learn mosaics, fusing, bead making and more! 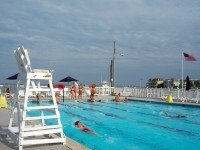 South End Surf ‘N Paddle is located on Long Beach Island in Beach Haven, New Jersey. Our LBI surf shop specializes in top quality, state-of-the art stand-up paddleboards (SUP’s) and longboards. We feature surfboards from Riviera Paddlesurf. Stewart, Stoke, Pine Knot and our own brand, Queen City Surfboards, are also featured. These brands offer custom-made boards, many of them done in our shaping room. Additionally, you can find apparel, gear, and so much more. We are your neighborhood surf shop. You can find very reasonably priced Stand-up Paddleboard lessons (group and private), Surfing lessons and SUP yoga classes. We also regularly offer community events. Events such as free ukulele lessons, surf jams, surf movies, and alaia building workshops are announced in advance or spur of the moment. 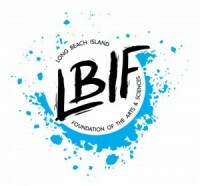 Or if you are into racing, the LBI Paddle Race Series. 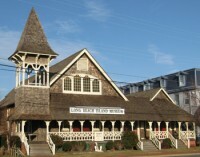 The Long Beach Island Museum was built in 1882 as the Holy Innocent’s Episcopal Church. It remained so until 1976 when it was purchased by the Long Beach Island Historical Association. The museum proudly stands in the center of Beach Haven’s Historic District. Its main objective is to keep the history of LBI alive through the preservation of artifacts and photographs inside the 130 year old building and through various programs and events promoting the rich history of Long Beach Island. 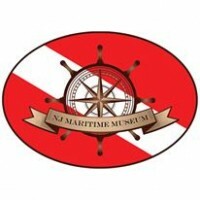 Welcome to the New Jersey Maritime Museum, located in Beach Haven on the southern end of Long Beach Island. We invite you to come visit us and explore the most extensive collection of maritime history and artifacts in the entire state of New Jersey! Whether you have just a few hours or an entire day, you’ll find something new to discover behind every corner. We hope to see you soon! In about 1894 a group of young men, who vacationed regularly or lived in Surf City on LBI created an informal club for the promotion of aquatic sports. Over the years these young men, joined by others from time to time, continued their interest despite wars, depressions, and hurricanes and became known locally as the “Surf City Yacht Club”. 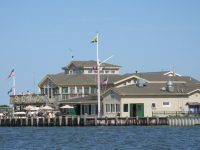 The Surf City Yacht Club has become a place for adults and children to enjoy a variety of social events, sailing and boating activities in a vibrant and fun atmosphere. Their expansive bay front location provides unfettered access to the bay for all types of water related sports. The clubhouse offers an inviting atmosphere for relaxing and socializing for each and every member. SCYC creates a sense of community that develops lifelong relationships and fond memories and generations of children have grown and thrived by participating in our summer programs. So whether you relax through sailing, social activities, boating, swimming, or just hanging out by the bay, you’ll find that SCYC is a special place and is one of the best kept secrets on Long Beach Island. From the late 1800s, there has been an active charterboat fleet in and around Beach Haven, NJ. That fleet continues today as the Beach Haven Charter Fishing Association with boats available for charter fishing on Long Beach Island from the causeway, south to Holgate, and on the mainland from Lanoka Harbor in the north to Tuckerton in the south. The Elite Fleet Captains are experienced fisherman, and they are all licensed by the U.S. Coast Guard. All Elite Fleet Boats have insurance coverage to protect you while you’re fishing with us. We operate clean boats and provide the best tackle, along with bait and ice for your convenience. The Elite Fleet Boats range in size from 19′ to 44′ and most captains welcome families and children on fishing trips! There’s a variety of boat styles from open console and express, to fly bridge sport fishing craft with perfect accommodations to fit the needs of you and your charter fishing party. Viking Village was founded in the 1920’s by first generation Scandinavian fisherman.The facility was known as the Independent Fish Company until it was renamed Viking Village, after the original Norwegian founders. Today, we are the home port to more than 40 independently-owned fishing vessels. Each year, about 5 million pounds of seafood is packed out here and shipped both locally and around the world. We also ship to selected distributors, supermarket chains, retail fish markets and individual restaurants. The volunteer arms of the Ocean County Library are our Friends groups. The Friends of the Island Library were the first Friends of the OCL, formed in 1959, and have a long and distinguished history of advocacy for library services on LBI. Acme Surf & Sport, located in Brighton Beach on LBI, is a full-service surf and sport shop offering sales and rentals of bikes, stand up paddleboards, surf products, skateboards, cribs, beach accessories, inline skates and more! Enjoy summer water sports, basketball and volleyball courts, a free playground, and free weekly family activities, concerts and special events. The guarded Bayview Park beaches are also available for those who want to swim in calm, shallow waters (LBT beach badges are required). 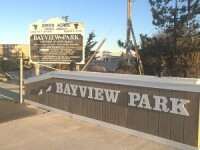 Bayview Park, located on 68th Street in Brant Beach, has bathroom facilities and Free Parking. The park is a Green Acres park that provides a backdrop for a variety of individual and family oriented activities, including windsurfing, stand-up paddleboarding, seining and kayaking. Private pool and beach club offering boat slips, swim lessons & swim team, sailing lessons, and social events for adults and children. Their current programs include sailing instruction (Optimist dinghies, Sunfish, Lasers and 420s) for children eight and older, swimming instruction and swim team. For our more competitive sailors, we hold a Saturday series at the Club every Saturday morning and we participate in the LBIYRA Wednesday interclub races. Our swim team competes with several other teams on the Island (Barnegat Light, Brant Beach, St. Francis and Surf City) and we have hosted the season-end LBIs for the past several years. The Haven Beach Club is operated on the basis of our members’ volunteerism. Throughout the summer, we host many social events–for children, adults and families. Members are expected to work at least one social event per season. Our children are very active with children at other clubs on the Island– sailing, swim team and children’s socials. These activities also require volunteers.